Abu Dhabi has announced this week that it's Department of Municipal Affairs will commence a feasibility study with Hyperloop Transportation Technologies for a connection between Abu Dhabi and Al Ain. This comes following the news earlier in December that rivals Hyperloop One will commence a similar study for connecting Dubai and Abu Dhabi. Both studies, I'm sure will be welcomed by the many commuters currently partaking the daily grind along the emirates highways and especially the notorious Sheikh Zayed road which I can confirm from expeinrece is not the most relaxing or visual stimulating route on earth. 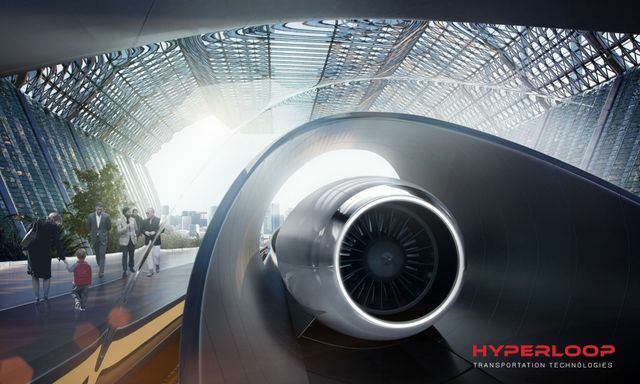 Abu Dhabi’s Department of Municipal Affairs and Transport (DMAT) announced an agreement with Hyperloop Transportation Technologies to undertake a feasibility study to connect Abu Dhabi and Al Ain with a Hyperloop system. Another feasibility study is already being conducted by rivals Hyperloop One with the Roads and Transport Authority (RTA) in Dubai, for connecting Dubai and Abu Dhabi using similar technology. Hyperloop is a passenger and freight transportation system that propels a pod-like vehicle through a near-vacuum tube at great speeds. The tubes can go above ground on columns or underground, eliminating the dangers of grade crossings and the costs of land acquisition.